Are things getting overheated at work? With more very hot weather on the way, here are some suggestions for things Unite members (whether staff or managers) can do if your workplace gets overheated. If the air conditioning isn't working properly or the temperatures in your workplace are making you or the employees you supervise feel overheated, nauseous, dizzy, stressed, or so sweaty that you could drop something, then escalate it as a health and safety risk through your health and safe system and management/union. There is no specific temperature that is dangerous - as it can depend on how long you have to work at the temperature and different people have different tolerances to high heat. However, sustained temperatures above 30 degrees celsius will be a health risk to most people. 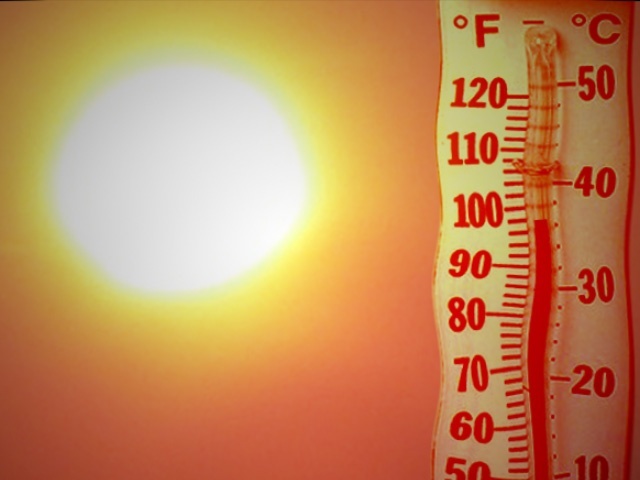 This is especially important if you or those you supervise are doing physical work or working with equipment that gives out heat, like cookers and gas stations; or if you have a condition that may make you more susceptible to heat. Fainting is common when people get overheated and is a severe risk for injury from resulting falls. The key is to deal with the problem before people start feeling unwell. The first step is to report any broken or malfunctioning air-conditioning equipment as soon as you notice it. Don't wait until it is a sweltering hot day - it will be too late to get it fixed or replaced then. From November through to March in particular, any air conditioning equipment that needs repairing or replacing should be sorted immediately. The next scorcher might only be a few days away so make sure broken equipment it gets recorded as a known potential health hazard. - partially closing down customer services (so staff can have more breaks) or, shutting down customer services completely to allow staff to cool down or until the temperatures fall. Ultimately, if you or the employees you supervise are unsafe or unwell in your workplace (including dangerously overheated), any one or group of you could 'pull the red card', which is to stop their work, and stay in a safe area of the workplace (eg the customer area) until the issue is resolved. The key is to reduce and eliminate the risk for as long as necessary so immediately closing up shop and heading home is not usually the solution. Your response should be reasonable and proportionate to the risk. There's also safety in numbers. We can always hold a union member vote on what action employees consider necessary. Make sure your manager is aware of the problem as soon as possible and request that they take action immediately. Keep a record of these requests (texts or emails are good records). We also recommend that any action you take, or any high temperatures, be recorded as a Health and Safety incident report. A paper trail is always an important part of getting issues resolved for good. If you do not have access to temperature readings in your work area bring your own digital thermometer, place it where people are working for long periods of time and take a photo of it to record the temperature, location and time. Unite will reimburse you the few dollars a digital thermometer may cost if you have to buy one. It's wise for store and duty managers to respond effectively and promptly to staff health and safety concerns: the new NZ health and safety system demands it and the risks of an incident far outweigh the risks of taking action!